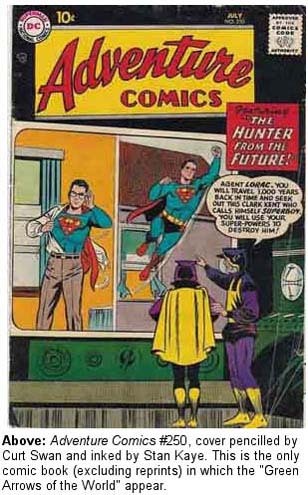 First Appearance: Adventure Comics (vol. 1) #250 (July 1958): "The Green Arrows of the World"
Adventure Comics (vol. 1) #250 (July 1958): "The Green Arrows of the World"